Ask any home buyer and they will tell you that one thing they want is the best mortgage at an excellent price. Negotiating a deal on your mortgage may seem undoable, especially if your mortgage broker leads you to believe that you stand no chance of getting a better deal since you already have been offered the best one. Here are a few tips on how to negotiate your mortgage rate. When you approach your mortgage broker, they will ask you many questions to find out what kind of mortgage product will suit your needs. It is best to be upfront and honest about your financial situation. Whether you are stretching yourself to make mortgage payments or are worried about changing (increasing) mortgage rates, a simple and frank conversation will help your mortgage broker find a product that is suitable for your personal situation. Never accept everything that your mortgage agent says. If you have doubts it is best to ask questions up front. That way you can feel a lot safer and confident about your mortgage. Remember that a mortgage is a huge commitment and feeling secure about it is extremely important. A good mortgage broker will be happy to answer any number of questions you may have pertaining to the mortgage. The mortgage rate is not everything you need to be worried about. Even if you are getting the best possible rate, you should still have a detailed document of the terms and conditions surrounding your mortgage. Things like ‘is the mortgage portable?’, ‘what are the payment options?’, ‘what happens if you need to move or break the mortgage?’, are some details you must be aware of. Do you buy the first chair you sit on in a furniture store? Then why should you settle with the first broker and quote that comes your way? Shop around for your mortgage. By the end of it, you may have met many mortgage providers offering different mortgage rates and under different conditions. Bargain for the best rate and best condition combination. Also remember to compare mortgage rates not only from big banks but also from local credit unions, specialty lenders and mortgage brokers. Let your mortgage agent know the lowest rate that you have been quoted and urge them to match it. Remember that your mortgage provider may not be able to get you the lowest rate but can do you a favour like paying your legal fees or appraisal fees to win your business. Although these are small expenditures, they can really add up to big savings in the end. 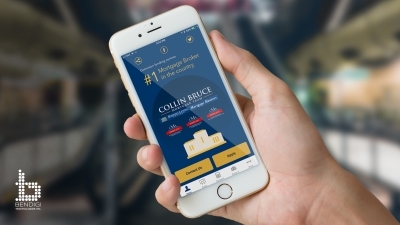 If you are a first-time home buyer in Edmonton, looking for a mortgage broker for your first or second mortgage or mortgage refinancing, contact Collin Bruce, Edmonton’s best mortgage broker for competitive rates and quality customer service.